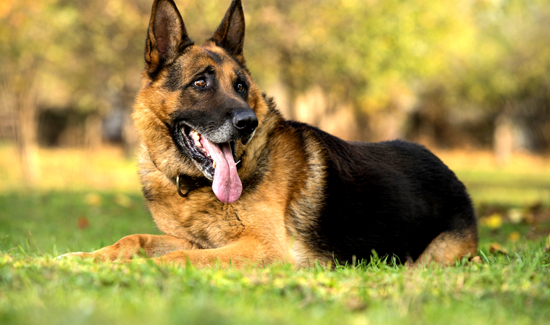 A 9-year-old police dog named Rex is ready to retire from the force. That presents a quandary for the Albuquerque, N.M., police department: what to do with a devoted and capable dog whose law enforcement training makes it a challenge to find him a new home? In announcing Rex’s retirement Monday, the department also outlined a heartbreaking story. The dog’s handler recently retired from the force—and though the two have emotionally bonded, the officer couldn’t take his work partner home because he has a small child. Rex is currently in the custody of Animal Services, and it’s possible he could be euthanized, in part because he’s deemed to be too old to bond and work with a new handler. After announcing that sad state of affairs Monday, Albuquerque police said they’re now getting offers to take the dog from former K-9 handlers, as well as from animal rescue groups. This should not even be an issue! Surely, there are plenty of former police/military K9 handlers that have the ability and desire to take in a retiring k9. What’s upsetting to me (as a retired deputy sheriff) is, these departments speak of their K-9 units as Officers, and rightly so! These dogs work grueling hours, rain or shine, hot or cold, and have proven throughout history their willingness to put themselves in the line of fire to save their partners. No other animal I can think of can charge into gunfire despite the strong instinct to flee. They have proven beyond a shadow of a doubt to those who’ve witnessed them in action that they are, indeed, police officers. So how can an agency not assure these animals the rights to live peacefully when they are retired from service? I wholeheartedly believe that, before an officer can accept the position of K-9 handler, he accept responsibility for his future partner’s retirement. Failing the ability to do that, any department wanting to add a K/9 unit to it’s ranks must make that same commitment — guarantee the dog a worthy lifestyle to grow old after the battles are done. They earned it, and in our commitment to a community with high moral values, we owe it to our communities, our officers (of both species), and ourselves. I completely agree with HockeyPop29 and find it hard to believe this is even an issue. Okay. How does one go about adopting him? Does it matter that I live in Arizona, Retired PD, No youngsters in the house??? Are there special meed that I must meet, It is just an old police dog. I have 2 acres and am a retired Federal Law Enforcement Officer from the DOJ. No children at home. Live in Austintown, Ohio. Will be happy to provide home and care. No other animals as I lost my dog and friend. I am a retired police officer that has handled two police canines (both German Shepards) in my 33 year career. I have a big fenced in yard and a huge dog bed in my bedroom for him at night. I would be more than happy to come and pick him up and give him a great home. I can be contacted by email and would love to give the big boy his best time in his final years. I need another walking and SUV riding buddy— and he looks just like my Gunnar ( a big beautiful GSD with plenty of red in his coat) who I lost to cancer of the spleen this year in March. Give me the location and the date and time you want me there and I’m on it. My wife would love him since she was Gunnar’s biggest fan. Just tell me when and where, I’ll pick the warrior up and give him a great and deserved home. This should not be an issue.